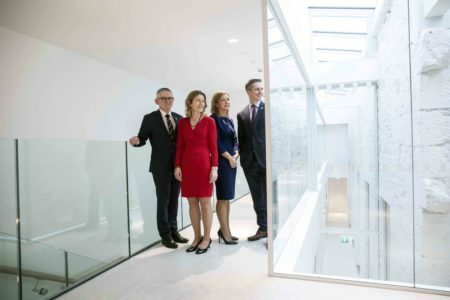 pictured at the official opening of the new UCC Centre for Executive Education, Cork at 1 Lapps Quay in the heart of Cork city. The landmark building in the heart of the city will house Cork University Business School (CUBS) and Irish Management Institute (IMI) progammes, bringing together the largest business school in Ireland with the leading, internationally ranked leadership and executive education institute in the country. 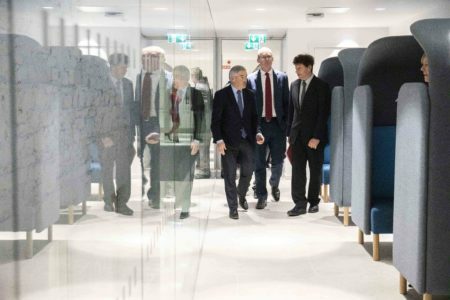 An Tánaiste and Minister for Foreign Affairs Simon Coveney TD officially opened the University College Cork Centre for Executive Education at 1 Lapp’s Quay in Cork today (Monday). 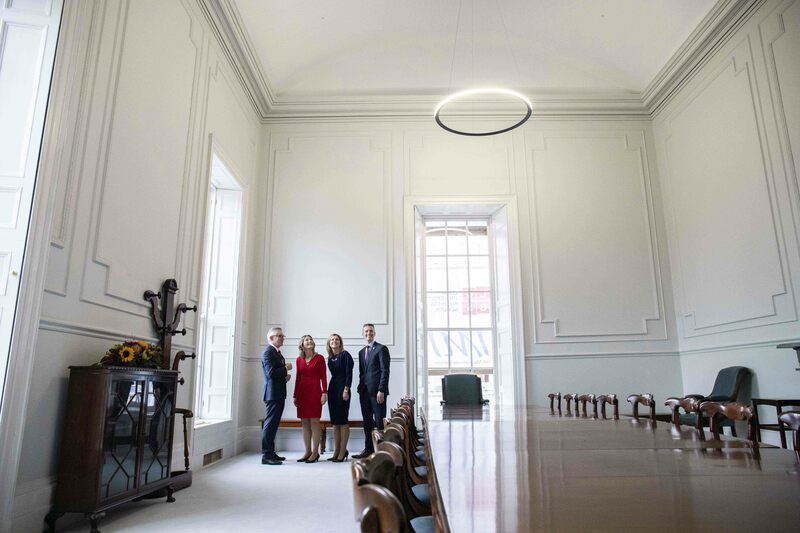 The landmark building in the heart of the city will house Cork University Business School (CUBS) and Irish Management Institute (IMI) progammes, bringing together the largest business school in Ireland with the leading, internationally ranked leadership and executive education institute in the country. Prof. Ursula Kilkelly, Head, College of Business and Law, UCC. “Expanding and immersing our business campus in Cork city is hugely exciting and important for University College Cork. 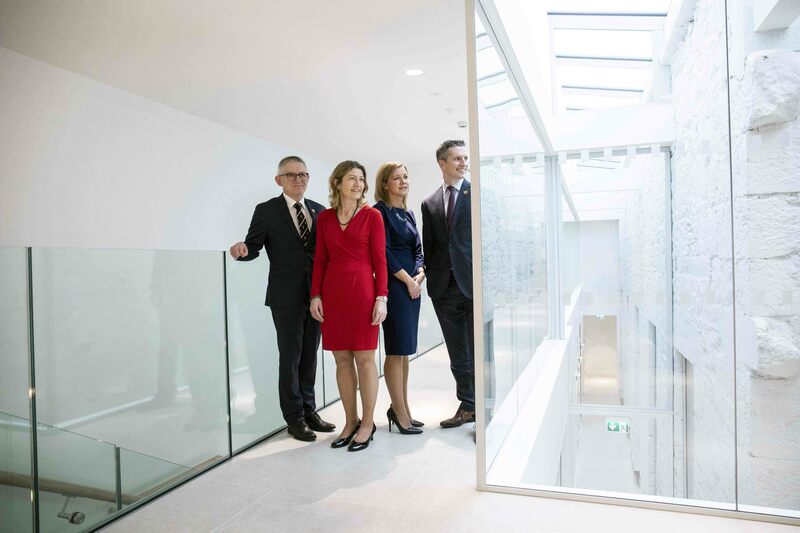 We are delighted to open this Centre for Executive Education as the first phase of our ambitious plans for UCC’s business and leadership education. Always looking to the future, and adapting to market needs, we are providing the best facilities, courses and educators at UCC, through our combined programmes at CUBS and IMI, to ensure a strong pipeline of executive talent at graduate and postgraduate levels,” said UCC President Patrick O’Shea. An Tánaiste and Minister for Foreign Affairs Simon Coveney TD with Mark Poland UCC Director of Buildings and Estates with Gareth O’Callaghan of JCA architects at the official opening the University College Cork Centre for Executive Education at 1 Lapp’s Quay in Cork today (Monday). The 176 year old landmark building and new extension in the heart of the city will house Cork University Business School (CUBS) and Irish Management Institute (IMI) progammes, bringing together the largest business school in Ireland with the leading, internationally ranked leadership and executive education institute in the country.